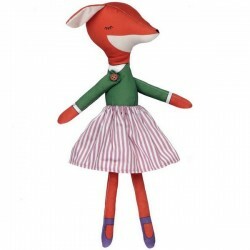 Adorable and whimsical cat girl doll from the polish brand Pani Pieska. 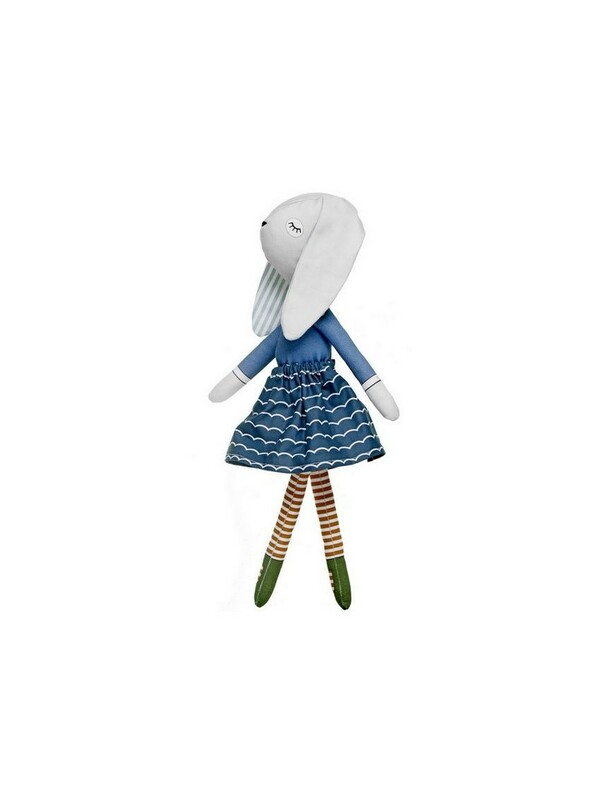 This adorable cat girl is a unique, stylish, hand crafted creation that will be a wonderful addition to any family. 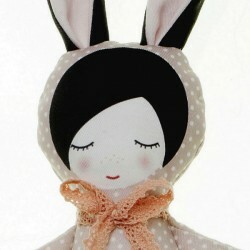 Delicate and gentle this doll can be beautiful home decoration, nursery decoration, nice gift for any occasion. A doll that you cannot find anywhere, with a perfect finish and is very sweet. 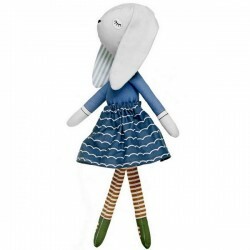 Miss bunny has mustard striped cotton legs with green ballerina and her body is made from a blue fabric. She wears a gathered blue skirt with white waves which is removable. 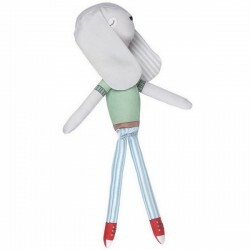 She is handmade with lot's of love and care; and is made of 100% Oeko-Tex cotton, stuffed with good friend for girls and will bring a lot of sunshine and happiness to your home! Size is approximately 42 cm long. Not suitable for children under 3.